If you need an electrician then you need to work with DeFilippo Electric. 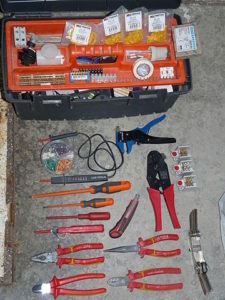 They will send out the right person with the right set of skills so that you can be sure your electrician knows what they are doing. Don't let anyone else do this job and find out more about why you should be careful here. If you have not had your electrical system checked out in a while then you need to get help. 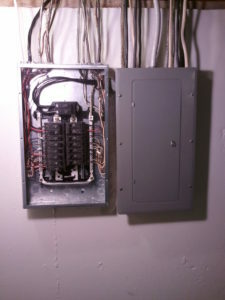 An electrician can do a quick inspection and let you know whether or not there are any problems. A big problem with a lot of homes is that people wait until it's too late and a problem is so bad that it causes serious damage to their home. You don't have to get to that point if you contact DeFilippo Electric and get an inspection done right now. You need to make sure that the person you hired is a professional and that's another reason why this company is a good choice. They will only send out people that are licensed in that have the right training so you won't have to worry about any problems with the work they do. If you just hire someone random like someone your cousin knows then you are going to get some kind of random outcome and it might end up damaging your home. In the long run you save more money by working with professionals than you do by doing the work yourself if you are not trained properly. Don't try to do electrical work on your own. You may find information on the internet that tells you you can do one or another thing to fix a problem but that never works out well for you. If you want to avoid things like fires then you have to have someone come out and do the work or at least check out the work that you did when you are done. If you are going into this blindly and trying to follow random tutorial then you could end up losing your building. Shop around and you will find that DeFilippo Electric has some of the best prices in the industry. Make sure you contact them to find out more about what you have to pay for something like an inspection or a problem that you are having. They might have to come out first before they can give you a quote but at least you will know what you have to pay when they are able to do the work. Be careful because you want to make sure that you contact them before the problem gets worse so get in touch with them right away even if you don't notice anything wrong. When you need an electrician you should turn to DeFilippo Electric. It will be a lot easier to get the help you need if you understand the information you read here. Now is the time to contact them and get started so you can be ready for anything that happens with your electrical system. Click Here to Pick a Quality Electrician!